Macey Rosenthal became an orphan after her parents went on an overseas trip a few months ago and lost their lives in the crossfire of a civil war that broke out while they travelled. She became overwhelmed by the kindness her relatives and complete strangers showed her while she grieved. She decided that now she had come of age and a young adult she would try to repay some of that compassion by pouring her heart into taking in as many orphans, or lost souls into her home for as long as she could. 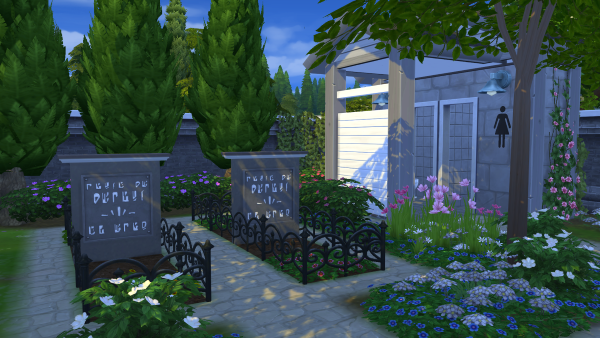 She had a small house built in the progressive town of Windenburg and with the rest of her inheritance she had a dignified grave-site built to house any of her “adopted family” that happened to pass on while she still lived. 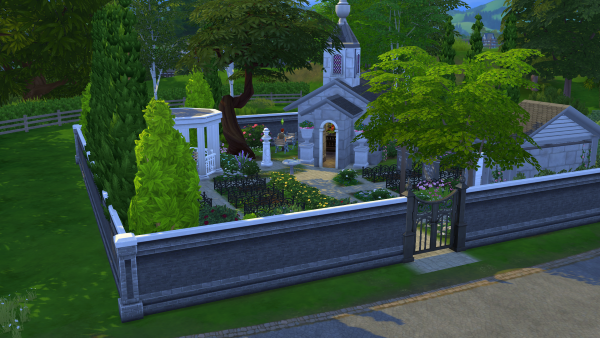 (This can be found in the Sims 4 Community, under #Windenburg Cemetery. @sawdust123 has kindly made this to use and it fits on the 20 x 20 Screaming Llama lot in Windenburg next to your house lot. This way the spirits of your 'adoptive family' won't bother you in your home, but will have a nice resting place. However, you need not use Windenburg, you can use any of the inhabited worlds as long as it has your house on a 40 x 30 lot and the graveyard close by on a 20 x 20. You may evict all present occupants before you begin leaving them vacant for your “adopted family members” if you choose. GOAL: To befriend 10 NPC’s or townies in any world that does not have a family. Try to mix them up in both age and where you find them. Those with the same surnames are not NPC’s and usually have families. The exception to this rule is any that are Roomies with their own surnames and have NPC-type jobs. Some of these below are Roomies. Keep this list nearby when doing this challenge. • Make one Sim male or female with the “Big Happy Family” aspiration. You may choose your Sim’s traits, looks and clothing. • Have your Sim start a career as soon as possible. • On those days before your Sim begins their job, and any chance you get after, start going places to meet NPC’s such as gardeners and homeless in parks, Mixologist in bars, Spa Instructors, Retail shopkeepers, etc. in any of the worlds. Your Sim will be travelling a lot. • Chat with them until they become a friend and then ask them to move in. I suggest you do this one by one as timing is paramount as the money they bring will be restricted (see next dot point). Your Sim must provide the necessary items and space for your NPC or townie as they move in. For eg. A basic bedroom for when they move in. A Bar for a mixologist, a small garden for a gardener etc. Choose careers for them to continue in their line of work. If they move in, and are unemployed they must be given a career in the area of their expertise. For eg., a bar attendant needs to have a bar and get a job in the Culinary/ mixologist career. Elders, however, are retired, but can help out by selling items from their specialised area of expertise, eg, plants if gardener, wood sculptures if high in handy levels etc. OR you may also choose something very opposite such as an overweight Sim with the lazy, glutton, couch potato traits, you can have them become an athlete in the athletic career. ‘Testingcheats on’ then ‘sims.modify_funds (-) or (+) $’ You can do this simply with 'money $*' now. For example: If after your Sim has built her starter home, she or he has 4,000 left. If you bring in an NPC that brings 20,000 you reduce that by 18,000 so the amount in the household funds totals 6,000. And Visa-versa, if they come with nothing, then add 2,000 to the total household funds. With the new money cheat all you'd have to do is keep tabs on your household money and reduce the amount so that when new NPC, for example, moves in with 20,000 the "household budget" will be reduced by 18,000. • As teens or children grow and become young adults, you may choose to either keep them in your home or move them out to continue with their lives. Young adults and adults need to be established in a job at level 4 and be given their makeover before you move them out. Of course if you get to 8 some must move out anyway so time who and when you invite them into your household. You can have shared rooms for your guests, they don't need to all have one bedroom each. In fact it is a must once you house fills up. With elders, you can choose to move them out also, or keep them with you until they pass so you can add them to your grave-site. • When they begin to move out, form your own club where the skills they have can continue as you get together in club gatherings. - No money cheats other than ensuring each NPC or townie’s move in with the set amount given. - Age must be set to "normal". - You may use MOO for items but no moodlet cheats unless earned through your Sims' rewards store including the potion of youth. - Your Sim may settle with one of the NPC’s or marry but is only allowed to have one pregnancy. If you happen to get twins or triplets, that is a bonus. - Make group meals for breakfast, lunch and dinner to get your cooking up to at least level 2 before inviting any Sim to move in. - You cannot change your "adopted" family's traits but you can change their aspiration to suit the career or skills. - You may plead with the reaper to save any of your friends. - Take a selfie shot of each NPC you befriend and move in. Display these somewhere. 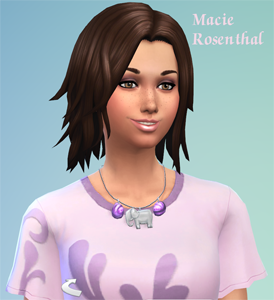 Following is a list of all the NPC’s you can choose from in Sims 4. Some I didn’t even know existed. There will be even more with the new expansions and stuff packs since. Maid: Can be hired on a one-time or scheduled basis. DJ: Can be found on sites where dance groups hang. Pizza delivery person: Appears to deliver a pizza to the household. Caterer: Can only be hired during parties. Entertainer: Musician or Comedian. Can only be hired during parties. Mixologist: Can only be hired during parties or found at bars and lounges. Masseuse: A masseuse can be hired by Sims who own a massage table or reflexology chair. Postperson: Delivers mail and bills to the household. Gardener: Can be hired on a one-time basis. Also found in areas of the neighbourhood tending community gardens. Fisherman: Can be randomly found fishing in the park. Homeless Sim: Will appear in the park at night and sleep on benches. They can be recognized by their distinctly unkempt appearance. Park ranger:The Park Ranger will roam Granite Falls and can be asked for advice about the surrounding area. Bear mascot: A Sim wearing a bear costume can appear in Granite Falls. Hermit: Located in the Deep Woods of Granite Falls. The hermit can be befriended to learn a special Herbalism recipe. Campfire ghost: A ghost may appear when Sims tell stories around the campfire. (If you are wanting to include ghosts). Massage Therapist: Assigned to massage tables on Spa lots and can be hired for back massages. Reflexologist: Assigned to massage chairs on Spa lots and can be hired for hand and foot massages. Yoga Instructor: Appears on Spa lots to teach Yoga classes which are held at set times. When a class is about to begin, a pink icon will appear over their head to indicate their role. Gym Instructor: Found in Gyms around the community. Repairperson: Accessed when ringing for repairs. The items your NPC’s or townies will need are listed below for when they move in. If they have no or few skills when they move in, then use their Simology traits and skills as a guide to what to provide for them. The items below are different prices so be careful in which order you invite them to move in. Remember that elders may pass on, and new occupants can take the same rooms. All are counted towards your 10 - 12 in total including those that have passed on. Maid – object related to whatever skill they have the most points in. Pizza Delivery person – Object related to whatever skill they have the most points in. Caterer – needs either the Banquetia Plateau OR Fountain of Mirth. Entertainer – musical instrument or microphone. Postperson – Object related to whatever skill they have the most points in. Gardener – Home Farmer Start Kit and bonsai tree OR 2 pots/garden beds for seeds/trees. Fisherman – 3 mounted fish on their wall in their bedroom. Homeless Sim – 2 shelves for collecting things and displaying them in his/her room. Park Ranger– Rocks of fire. Bear Mascot – Object related to whatever skill they have more points in. Campfire Ghost – The Horseshoe Pit. Massage Therapist – Massage table. Yoga Instructor- yoga mat and meditation stool. Host/Hostess - The Exotic Fronds plant to decorate a room. Waitress/waiter - Catch of the day Chalkboard to add to the community kitchen. Chef - Industrial Pantry rack to add to the kitchen as he/she may end up doing all the cooking! It may appear daunting when you read all this writing to begin with, but it is actually quite straight forward. Your main Sim goes to a spa, talks with a yoga instructor until they become friends. Your Sim asks him/her to move in with them. You provide a basic bedroom for them, for this example a meditation stool and mat (the items required on the list next to yoga instructor) must be bought. Watch your budget. Have them start a career probably a doctor (career related to skills and traits) and let them live with you until either they find a partner, stay with you, move out or pass on. When they move in you use the cheat provided to ensure they only move in with $2,000 or are given $2,000 on top of the household budget. If they come with no money, using the cheat provided or "kaching" twice, they can be given the $2,000 allowed. More money will come as each "adopted family member" brings in money from their career. Once your main Sim is working, the other "adopted family" members in the household can befriend other NPC's but your main Sim must become friends with them as soon as possible. 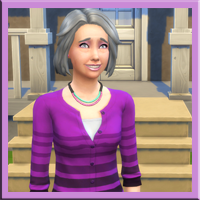 The challenge is seeing if you can befriend 10 -12 like that, before your Sim passes on. 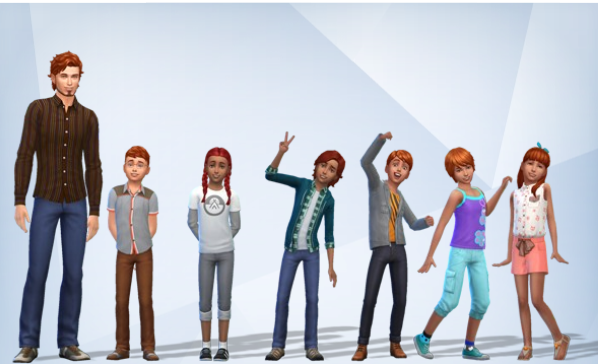 How your sim reacts with different personalities as their traits cannot be changed, but their aspirations can. Having a low budget shows how you manage your money from day to day. Hope this makes it clearer for you. :) I'm finding it really interesting, dealing with sims that have traits I don't usually give them such as Kleptomaniac, Evil etc. Looks like a good way to meet new Sims and have lots of fun. It is great fun but I must update it with all the new NPC's available in the new expansions and stuff packs, may need some help there.